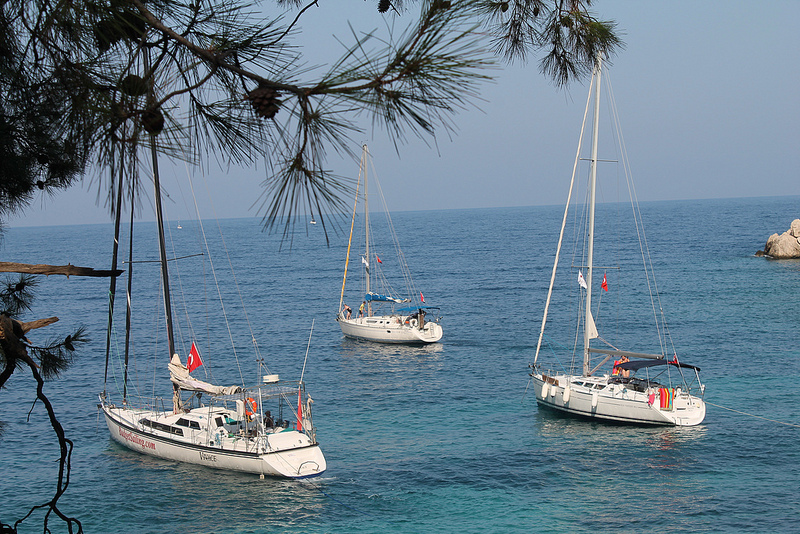 A flotilla consists of a group of yachts (generally around 5 boats) which all follow the same itinerary. During the day you sail independently but you can always refer back to the lead boat. 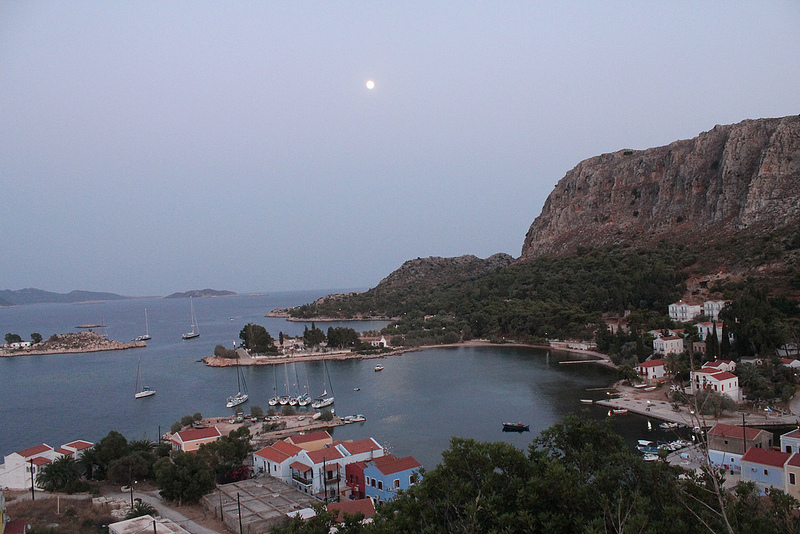 We all depart from the same harbour or bay and meet again all together in the evening. Every morning a briefing takes place in which the cruising plan of the day is discussed, a weather report is given (when necessary!) 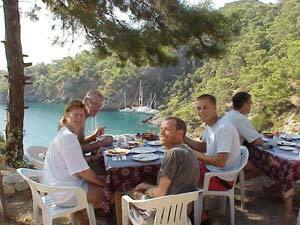 and where you get useful tips about that day’s cruising. This is where we are “at home”! Once on your way you can contact the lead boat by VHF, an easy-to-handle sender/receiver radio transmitter. The flotilla leader also gives technical help if necessary. 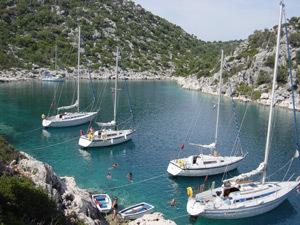 Even experienced sailors often choose to go with a flotilla because of the social advantage of sailing in a group. 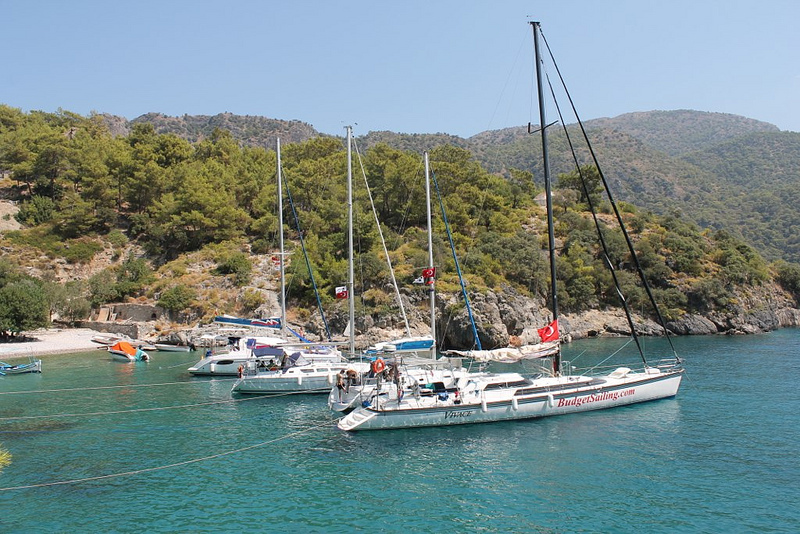 Hasan's passion for the sea and sailing goes back to 1974 when he started his education in the Turkish Navy, and from where he later retired after 12 years gaining the rank of Lieutenant. He has been doing this kind of work with pleasure and enthusiasm for many years. You might also call it "sailing – apart- together". You are not forced into any social obligations and certainly you are free to spend the evening without the group, but often the group finds itself together to eat and drink and share experiences of the day. 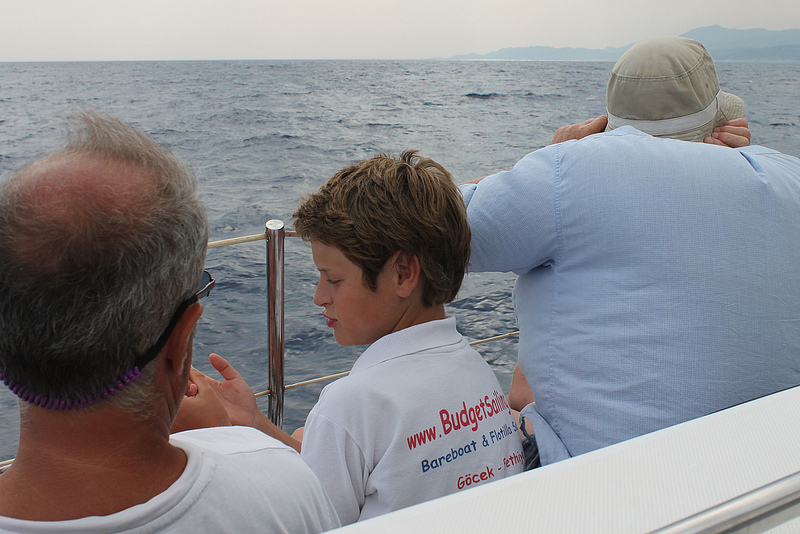 ("Did you also see that many dolphins?"...) 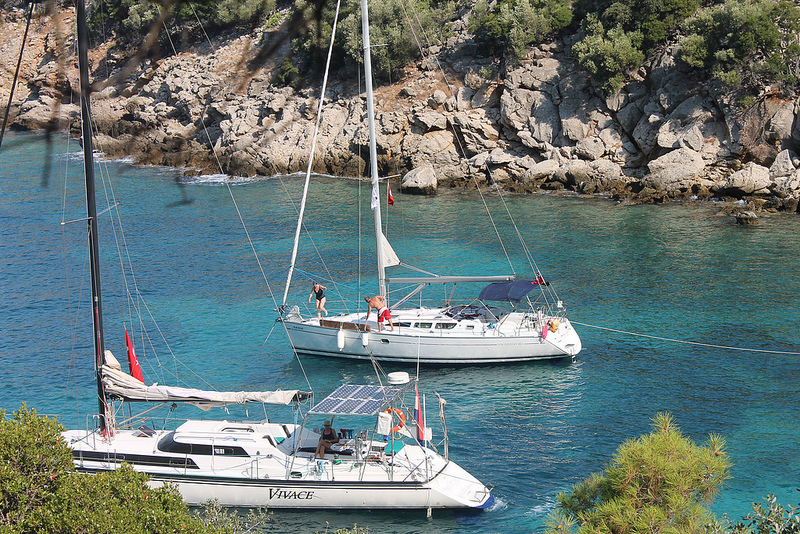 Flottilla yachting combines the safety of sailing in a group with the freedom of your own boat. The flotilla leader is more of a nautical companion and source of information than an entertainer. Special arrangements can be booked on request. 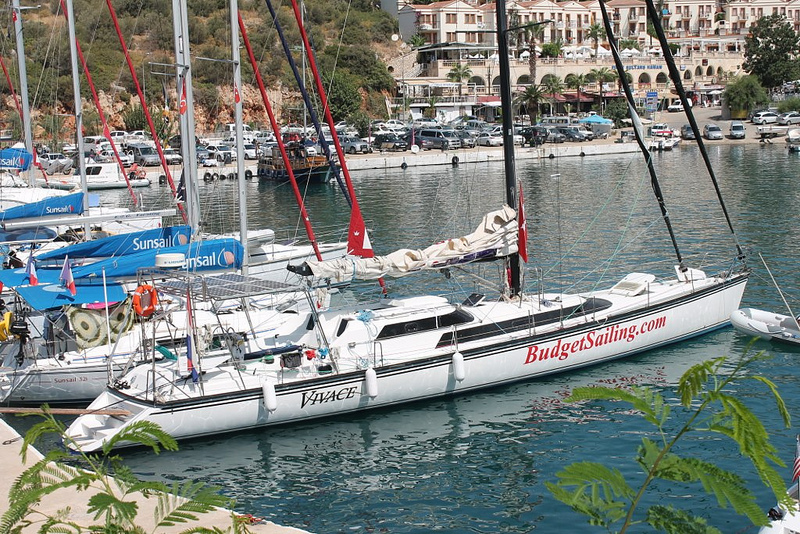 To join a flotilla at least one person on board must have enough sailing experience to be able to safely navigate a yacht of this size. 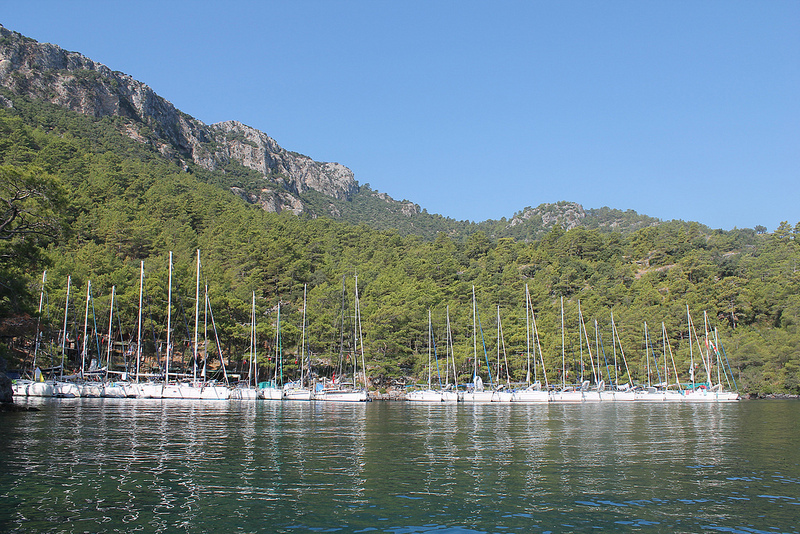 If you can easily sail an open sailing boat on a lake, this should be sufficient experience for sailing in the Gocek area. 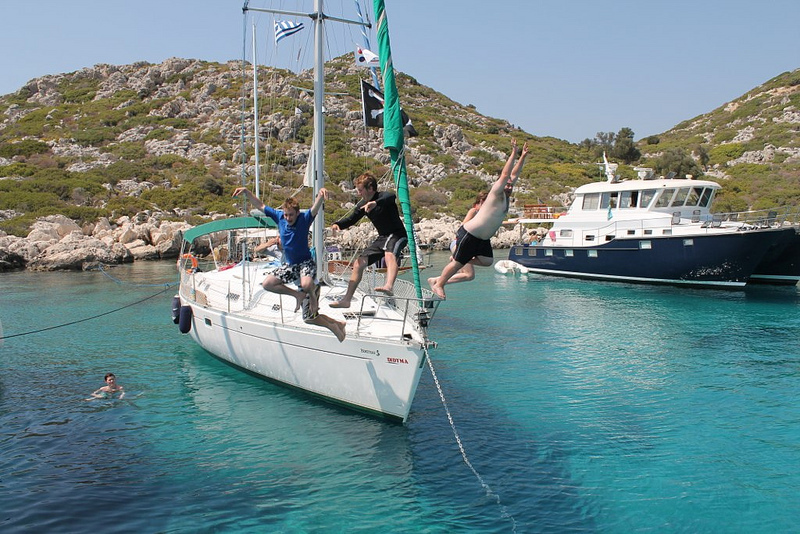 If you feel doubtful about your sailing ability you might take a course in your own country before leaving to refresh your knowledge. Also we can sail with you for half a day or a day to introduce you to the yacht. In this case, let us know beforehand! 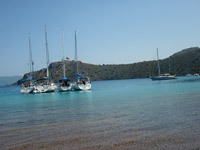 One of the big differences to most of the other flotilla companies is that there is no strict programme. As a change to all those strictly scheduled, never varying itineraries our slogan is: "Let' be flexible!" Another ... is the international character of our group. 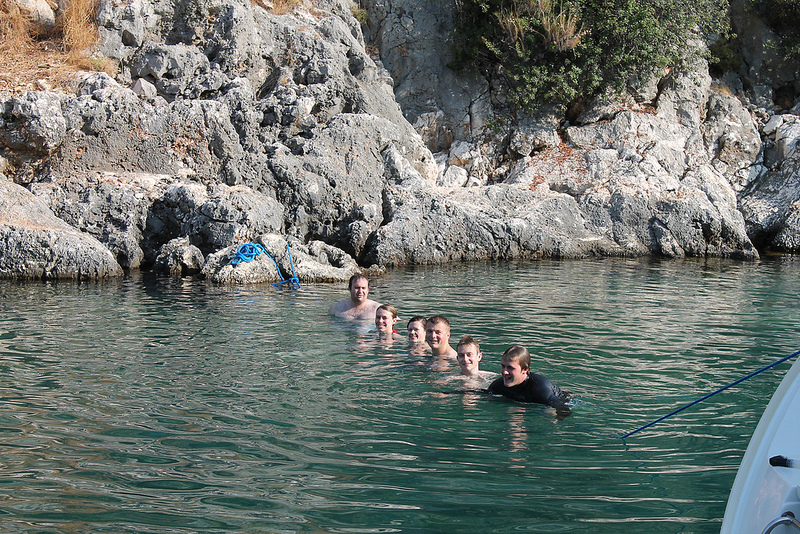 The itineraries may as well go in western as in eastern direction, sometimes even to some of the nearby Greek islands like Rhodes or Symi ... but will always be discussed with the group. There is a great choice of itineraries along this beautiful coast, still one of the last unspoiled shores of the Mediterranean. 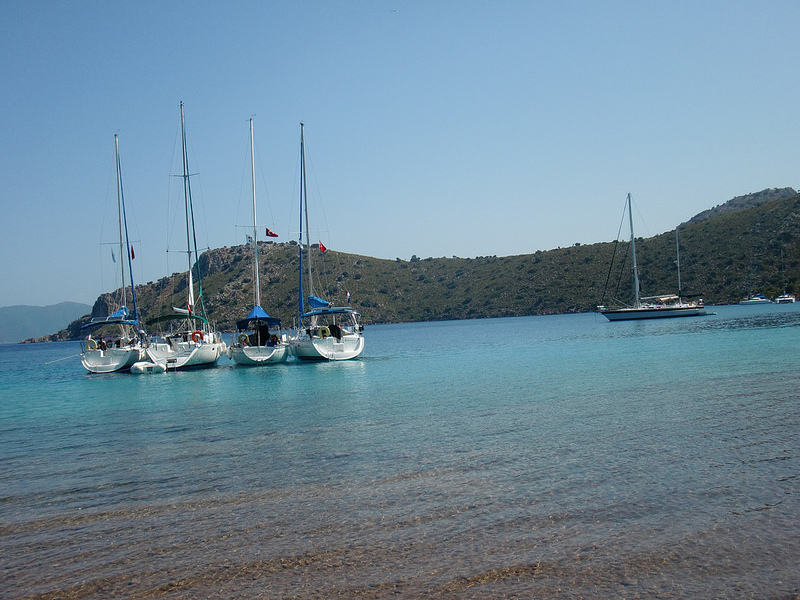 Every single day we will ask our guests what they might prefer (a quiet bay or a harbour place, long or short distance...) and just let see where the wind blows us! 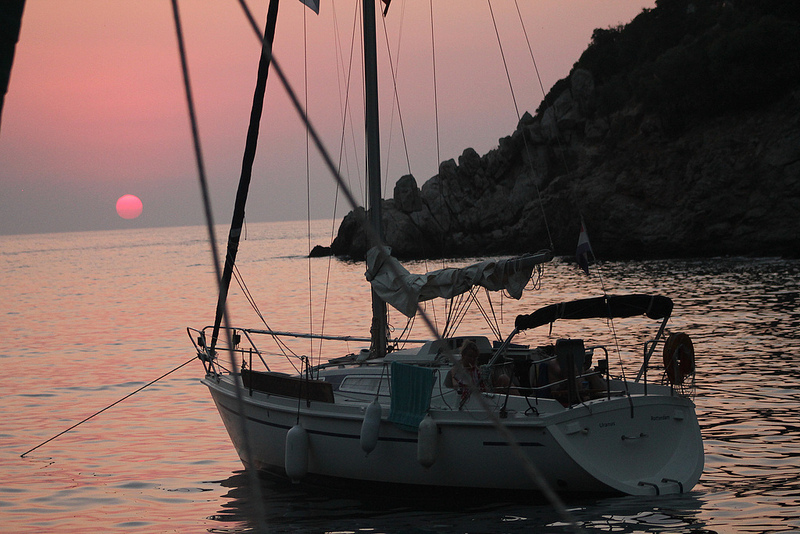 On request and in mutual agreement with the group we can also offer night (evening) sailing, a great experience on a full moon night! 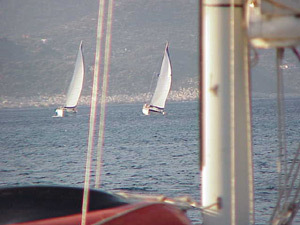 Daily distances generally vary between 10 and 40 nautical miles, which makes a daily average of four and half hours of sailing a day. 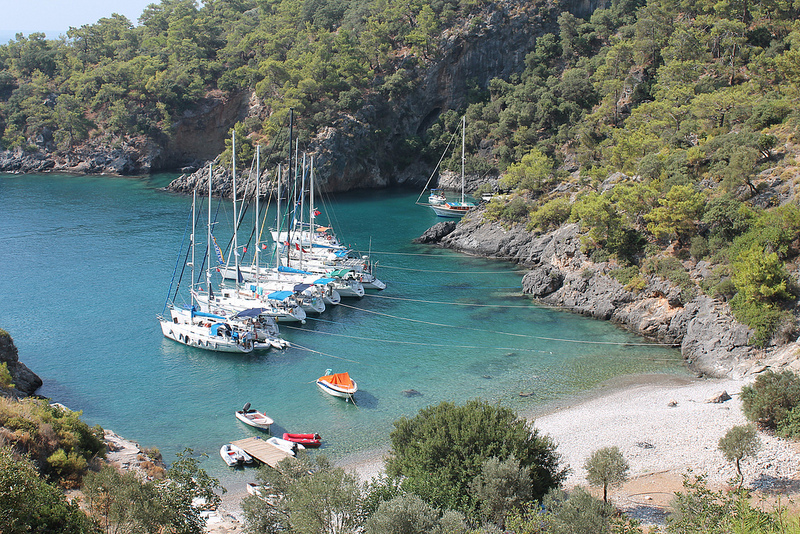 Gocek – Kalkan - Kekova – Gocek passing from St. Nicholas island, the pictoresqe harbours of Kalkan and Kas, the Greek island of Kastellorizon with a visit to the blue cave and finally two days around the beautiful area of Kekova with its sunken city. 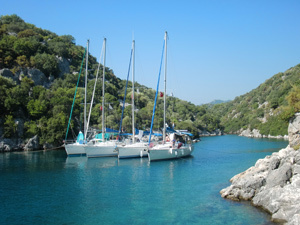 Gocek – Ekincik - Bozburun – Gocek passing from Ekincik, the delta of the Dalyan river with it's famous turtle beach, Marmaris and surroundings, Rhodes or Symi and back to Gocek.